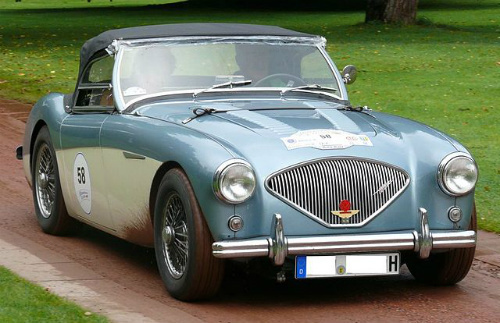 Austin-Healey 100/4 BN1 sports car production was finally brought to a close in August 1955 after 10,030 cars had been built. 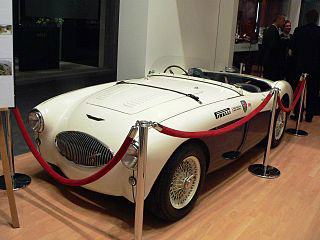 Designed specifically for rallying and the race track, the 100S sports car, where "S" referred to Sebring, produced 132 bhp at 4700 rpm. 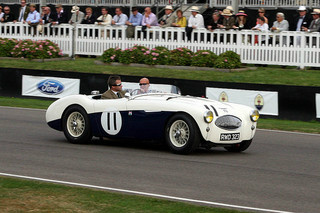 Nearly all the 100S's body panels were painted with the two tone American racing colours of White and Lobelia Blue, although one car was painted solely in Black. 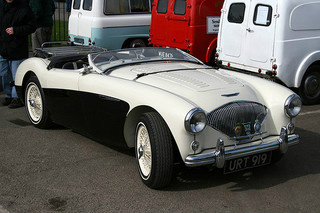 Some 70 % of these cars were painted in the two tone system, including two unique specialities - one in White and Red, and another in Black and Pink, the latter being used in a display capacity at the 1955 London Motor Show. 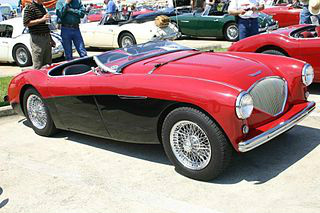 In total, there were 640 factory made 100M's, and all were BN2 models from 1956. 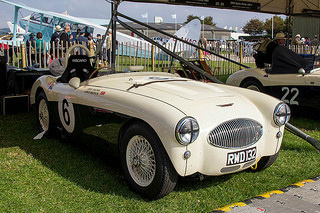 Donald Healey's Warwick factory upgraded some 519 additional cars with Le Mans kits after they had left the production line. 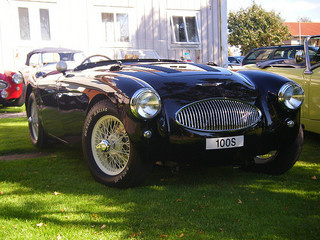 Total 100M's built at both Longbridge and Warwick was 1,159. 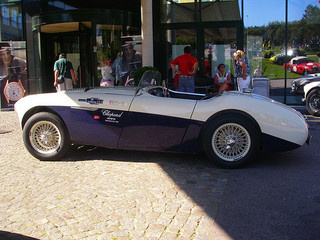 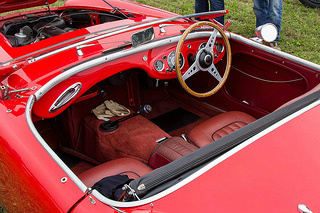 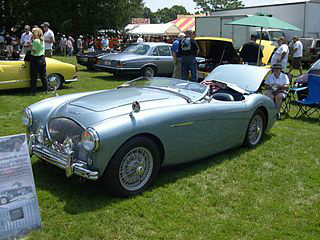 Production of the BN2 sports car ended in August 1955 when it was replaced by the Austin-Healey 100-6. 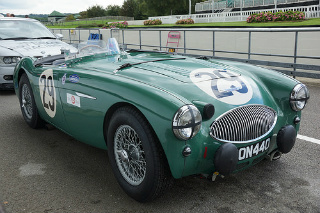 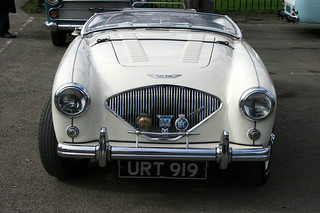 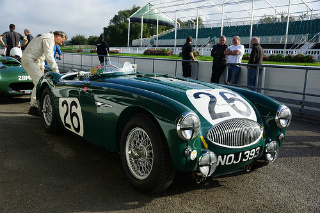 A 1955-56 Austin Healey 100/4 BN2 in excellent condition would command in excess of £53,000/$85,000. 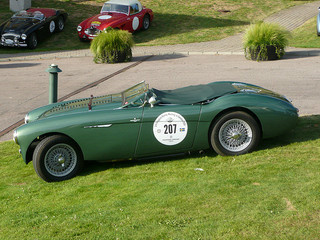 On the other hand, a rare BN2 100M in pristine condition would sell for £158,000/$250,000.